Walking for as little as 30 minutes a day can reduce your risk of coronary heart disease, improve your blood pressure and blood sugar levels, elevate your mood, and reduce your risk of osteoporosis, cancer and diabetes. 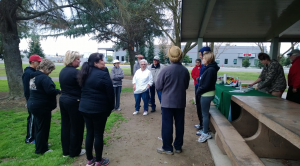 Attend a free walk and take steps toward a healthier you! Walking Program for anyone who is interested in taking steps to improve their heart health! Walking the 1st Saturday of every month from Apr. – Dec. 2018. Click Here for a full schedule. Call FMMS (559) 224-4224 or email us at receptionist@fmms.org.